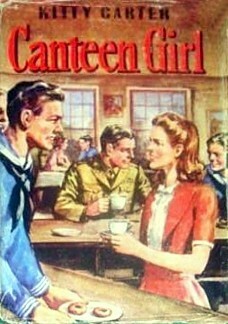 I read this 1944 book called Kitty Carter, Canteen Girl last week. It's a novel about a young woman who joins the Red Cross Canteen Corps in World War II in her hometown. It wasn't the best book I've ever read, but it did get me to thinking about how the Red Cross is always there for people whenever and wherever they are needed. No sooner had the US entered the war and American soldiers were unfortunately sometimes taken prisoner. In 1942, the Red Cross vowed to send one care package per week to every American POW. In the first year of the war, they actually shipped out more that 1,000,000 care packages to the POWs. That same year, the Red Cross collected over 1,000,000pints of blood and were asked if they could collect at least 4,000,000 in 1943. I have no doubt they succeeded. in the US, and later in Britain, the Red Cross opened and maintained clubs where soldiers could go to relax, have some refreshments, play some games, dance a little and chat with other soldiers and the volunteers. These same volunteers would faithfully meet troop trains with coffee, sandwiches and doughnuts whenever they stopped at a railway station. 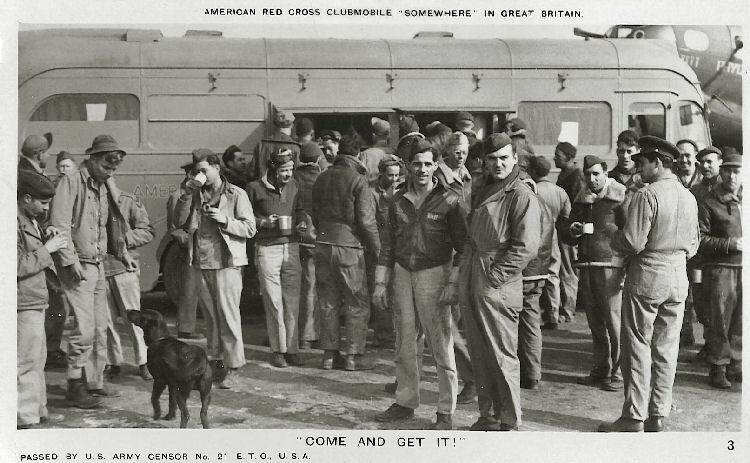 Clubs were so successful, that in 1942, the Red Cross introduced the clubmobile, a mobile canteen, for the servicemen and women stationed in Britain and coffee and doughnuts were always available. Clubmobiles were important and very welcome throughout the war, especially at the front. In fact, by July 1944, shortly after the Normandy Invasion, there were already 16 clubmobiles right on the beachhead serving coffee and doughnuts to tired, weary servicemen and plans for more. Not surprisingly, by October 1944, there were a total of 84 clubmibiles close to the front lines, serving an average of 100,000 cups of coffee and 150,000 doughnuts every day. The women volunteers who ran these clubs had to sleep in bedrolls underneath their vehicles at night. Combine half of the flour with the soda, salt and ginger. Combine the egg, molasses, sour milk and melted butter or substitute. Blend with flour mixture and stir until thoroughly mixed and smooth. Add remaining flour to make dough of sufficient to be rolled. Roll, on floured board, to thickness of 1/4 inch. Cut with a donut cutter. Fry in deep hot fat (360 degrees) until lightly browned, about 2 03 three minutes. This recipe came from the online American Red Cross Museum, which you may want to visit to learn more about what the Red Cross did in WWII. And just in case these doughnuts put you in a party mood, there are also detailed instructions for having a Red Cross Canteen Party. On May 23, 2012, the Senate passed Resolution 471 "commending the efforts of the women of the American Red Cross Clubmobiles for exemplary service during the Second World War." What an interesting post; thanks for sharing this information with us. who knew doughnuts played such a big role in the war! Those doughnuts sound great to me! About time the women of the era were recognized. Enjoyed your post, really informative. Wow, this is fascinating! Who knew? I always learn so much from you. And really, 2012 before these women were recognized? I had never heard of these clubmobiles; I must ask my dad if he ever ate at one. What a great story! Thank you for sharing it with us. Seems especially meaningful to me today after I gave blood this morning! Wish they'd had some of those doughnuts! the vintage book looks really good to me! 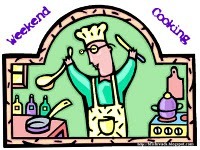 Very creative contribution to Weekend Cooking! Hope you are having a nice week. My Weekend Cooking contribution was a salmon pizza. I had no idea about clubmobiles! How fascinating! I am glad that the women were finally recognized- better late than never. From the recipe- the doughnuts sound like they will be good. Thanks for sharing- I love learning something new. Great story thanks! I think I would love a doughnut with ginger and molasses. I did not know this about the RED Cross. I'm glad you decided to read that book and then search for further information. My father has had to rely on several blood transfusions lately. he donated for years but due to health conditions had to stop. Thank goodness for the Red Cross. I love food with a history. Thanks for sharing! I had no idea about clubmobiles – didn’t even know that such a thing existed! You do share the most interesting facts, thank you! This is fascinating - thank you for sharing it! Now I have to try making these donuts. I love vintage recipes.